Do you have a question about our programs or can't find the information you need? 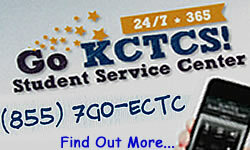 You can either complete the Contact Us form below or give us a call (855) 7GO-ECTC, 24/7! Our responses to your requests may be misinterpreted as SPAM by your email provider! If you have requested information via your email and haven't received a timely response, please check your SPAM folder and settings.